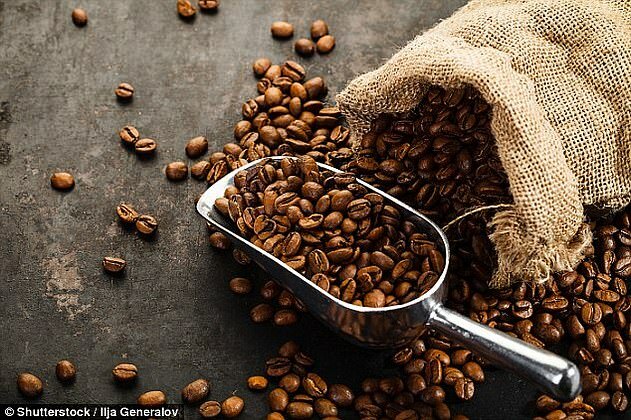 There’s a fine art to brewing the perfect cup of coffee but one expert claims to have the secret recipe to getting the best taste out of your beans every time. That ranges from your choice of water, which should be hot but not boiling and never be distilled, to the right ratio of coffee to liquid. 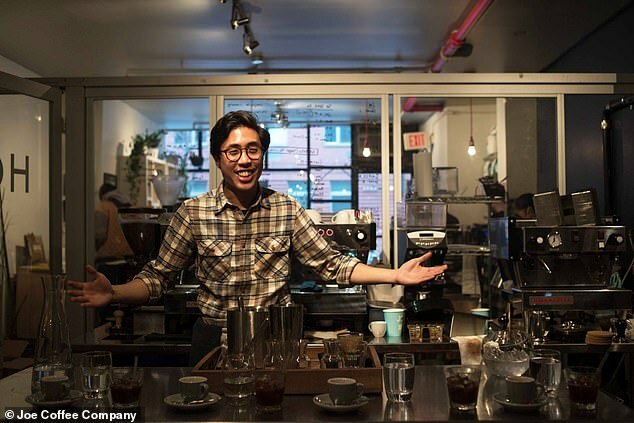 That’s 1:16 according to David Castillo, who trains baristas at independent New York chain Joe Coffee and was a finalist in the 2018 United States Barista Championship. The equipment you use and the size of your grounds can also have an effect on the overall taste, he says. Mr Castillo, who made the comments during an in-depth interview with Newsweek, says that water should be very hot but not boiling. He recommends a temperature of between 202 to 208°F (94 and 98°C). That’s because if the water is too cool, the natural acids in the coffee won’t be released, and if the water is too hot, the resulting brew will be too bitter and could taste burnt. Distilled water should not be used as the minerals needed to extract flavor from the coffee have been removed. This means that the resulting cup won’t taste particularly pleasant, Mr Castillo says. Any regular drinking water is fine to make coffee with, however, despite some connoisseurs insisting bottled or filtered water is essential. ‘The conventional wisdom is, if the water is good enough to drink on its own, it’s good to use for coffee,’ Mr Castillo told Newsweek. With regard to ensuring that the 1:16 water-to-coffee ratio is exact, the barista explained that he and his colleagues measure all grounds used in grams for a more ‘precise’ result, rather than relying solely on estimated tablespoons as some other chains do. In terms of equipment, Mr Castillo says that everything from a manual French press to an electric coffee machine can be used to make the perfect cup of joe, as long as it is clean and you’re familiar with how to use it properly. However, one of his top recommendations is buying your own fresh beans and grinding them yourself – preferably with a manual ‘burr’ style grinder, rather than an electric one. He says that the resulting grounds will be of a more consistent size and will lead to a better flavor in your cup. As far as the beans themselves and how well they should be roasted, the coffee expert says this is down to personal preference, much like a fine wine. Your choice of filters can also affect the final result, Mr Castillo claims, with paper filters removing natural oils from the coffee and resulting in a cleaner and more complex flavor. However, a permanent filter – as used in some coffee machines – gives a fuller bodied flavor, albeit less complex. Caffeine has been deemed safe for consumption in doses of up to 400 mg per day for the general population. Studies suggest it can have a variety of health benefits, including combating liver disease and type two diabetes. Research has even suggested it could even help people live longer. It is the world’s most widely consumed stimulant and reports show it can boost daily energy expenditure by around five per cent. Researchers have said combining two to four daily coffees with regular exercise would be even more effective at keeping the weight off. A 2015 study showed just a couple of cups a day could help millions of dieters stay trim once they have achieved their desired weight.